There are so many different types of audio books which can making reading really fun for kids who don't want to read quietly with a book. If you have young kids, look for books on CDs. You can read the book while listening to the CD, which is filled with lively music, different voices, and sound effects. For older kids, you can get audio books. Turn it into a family affair and listen to an audio book together in the car! Expose your kids to a variety of music. Libraries also have soundtracks to your kids' movies as well as kid friendly classical music like Mozart's Magic Fantasy which combines classical music with fun narration. And, of course, you can find any version of your favorite children song in the collection as well. Call your library and see if they offer museum passes. Many do, and they offer a whole lot more than museums: state parks (a bonus if the park also offers swimming! ), amusement parks, baseball games, aquariums, zoos, gardens and more! Some passes offer free entrance and some offer discounts, but definitely worth checking out. Many libraries are expanding their collections with board games, puzzles, and even American Girl Dolls. This is perfect since these toys won't clutter your house and by the time the kids are bored with it, it is due back at the library. What to do on a rainy day? Come to the library and let your kids play with the toys! Many libraries offer a play room (or section) with dolls, figurines, dinosaurs, trains, cooking station, and more. They have computers which your kids can play learning games and offer other educational learning entertainment. Found a book your kid loved? 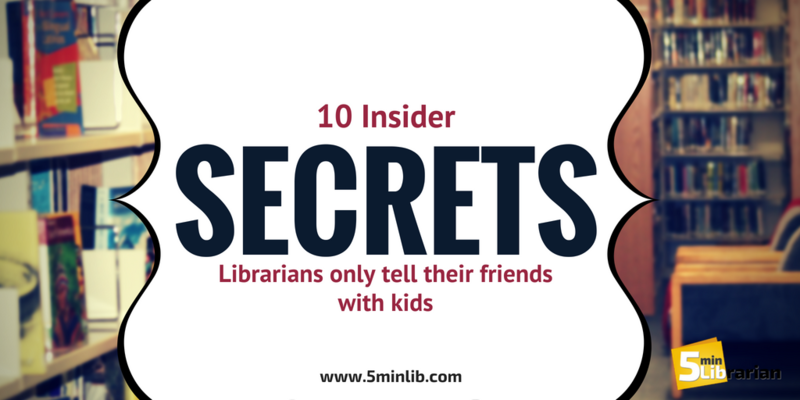 Librarians can suggest readalikes to keep your kid reading and engaged all summer! Feeling a little intimidated with what to check out with all that the library has to offer? Start with your kid's favorite TV characters. You'll find books, DVDs, music, and maybe even video games that star their current interest in the moment. Check out the library calendar to see what events and programs they are holding throughout the summer. They offer them throughout the day and on weekends. They hire professional performers as well as host their own events for a great variety. Everything is free! Who hasn't lost a library book? Or misplaced a DVD? If your fines are below the set limit (usually $10), it will not hold you back from checking something out at the library. If it is higher, you are still welcomed to participate in programs, visit the play area, and use the computers. Most libraries will even have a fine forgiveness summer event where you can clear your fines with doing something as simple as bringing in a few can goods. Call and ask! But whatever you do, don't feel embarrassed. Even librarians rack up fines. Libraries love kids, but librarians worry about little kids when there's no adult (or older sibling - usually age 9 or above) around to keep an eye on them. Libraries are a busy place these days and they are open to the public. Librarians are constantly away from the desk, either running a program, preparing for a program, or helping patrons. They can't keep your precious little ones safe. Bonus: You can use the library from the comfort of your own home! Check out your library's website. Do they offer Hoopla, Freegal, or Overdrive? These places will let you download movies, TV shows, audio books, music, and ebooks with just inputting your library card number. You can also request books ahead of time so you can just stop at the library to pick up books and you won't have to be stressed trying to browse with kids.